“Populaarimusiikin vuosikymmenet” (Decades of the Popular Music) is an inderface design project for the Museum of Popular Music in Finland. 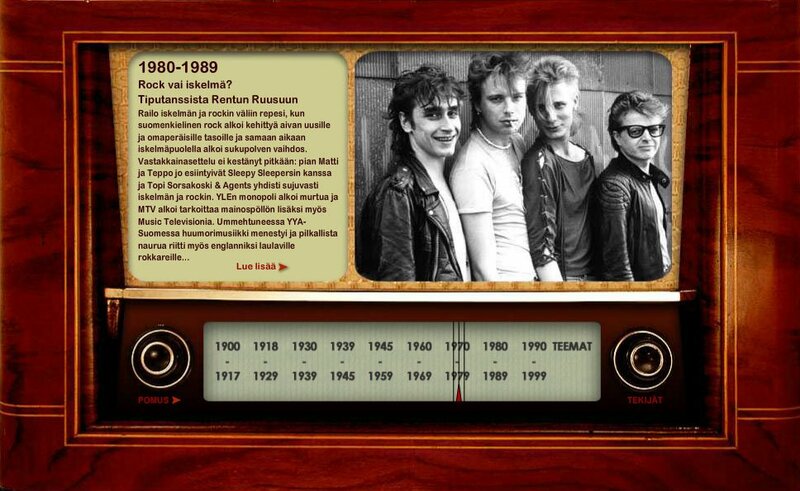 The audience is invited to find information and articles of different decades by using the “Radio-like” menu of the interface. Multimedia Design by Mika Tyyskä. Production coordinator Liina Toiviainen. Producer Marikki Hakola / Kroma Productions Ltd 2008. 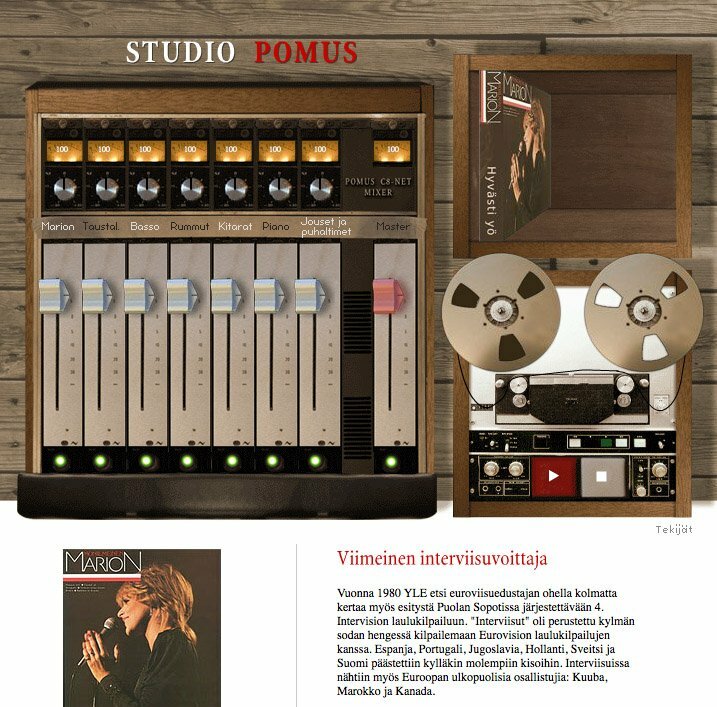 “Pomus Virtual Studio” is an inderface design project for the Museum of Popular Music in Finland. The audience is invited touse the virtual music mixer to mix their own versions of the popular music piece performed by Marion. Multimedia Design by Mika Tyyskä. Production coordinator Liina Toiviainen. Producer Marikki Hakola / Kroma Productions Ltd 2008.